Moscow and Washington have long accused the other of violating the Intermediate-Range Nuclear Forces agreement. 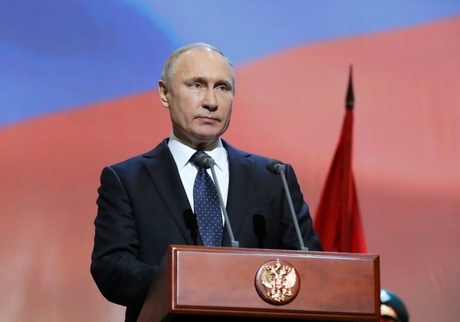 "Our American partners have announced they are suspending their participation in the deal, and we are also suspending our participation," Putin said of the agreement, following a US deadline for cooperation. Brokered by US president Ronald Reagan with last Soviet leader Mikhail Gorbachev, the treaty ended a superpower buildup of warheads that had frightened Europeans. Trump said he would like to "get everybody in a big and beautiful room and do a new treaty," but in the meantime, the United States "can't be put at a disadvantage." The foreign minister said Russia had "tried everything to save the treaty" in several rounds of diplomatic talks. He has previously warned of proliferation of weapons but on Saturday told the ministers Russia would "not be drawn into a costly new arms race". NATO said in a statement Friday that the US allies "fully support" the withdrawal and agreed that Russia's 9M729 ground-launched cruise missile systems, whose range is the cause of US concerns, violated the treaty. Lavrov at Saturday's meeting also voiced concerns that Washington's decision to withdraw from the INF could jeopardise the extension of the New START treaty.